82 Lukie Points will be rewarded to you when you buy this. 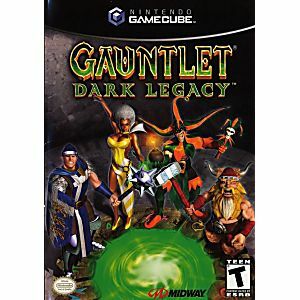 Gauntlet Dark Legacy for the Gamecube - also plays on the Nintendo Wii! 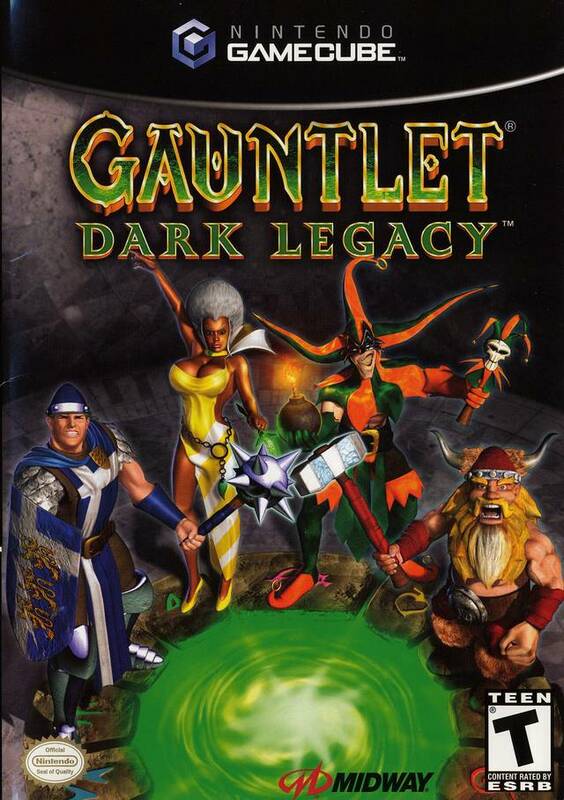 Building upon the foundation laid by Gauntlet Legends, Gauntlet: Dark Legacy offers more levels and items as well as new characters and in-game scripted events. Playable by up to four players simultaneously, the goal is a simple one: destroy all the enemies in your path, while searching for a way to exit each world. Standing between you and the exit are traps and hordes of enemies that spew forth from generators scattered about the environment. Destroying these generators is the only way to stem the tide of evil warriors. Eight characters are initially selectable -- with others hidden in the game ranging from the sublime to the ridiculous. A knight, sorceress, dwarf, and jester are just a small cross-section of the different classes, with each possessing a unique power to aid them in their quest. The special powers' effectiveness increases as your Turbo meter fills, and slowly regenerates over time. Aiding your slaughter of the swarms of evildoers is a plethora of items: explosive magic vials, multiple projectile attacks, and limited invulnerability are just a few of the many items that can be found or purchased. Unlike the original arcade titles, Gauntlet: Dark Legacy has a finite end, one which players will uncover after traversing the game's 60 stages. I bought this game for my brother. He had been looking for it. It arrived in great shape and was well priced. He is so happy to have it. Thanks.